With Valentine’s Day less than two weeks away, I had to share a Valentine’s Day Mason Jar! This gift in a jar is full of pampering spa items and sweet treats. You can change up the items in the mason jar so that you can give one to your mom, another for your kid’s teachers and another version for your girlfriends. And guys, this is a great gift for you to give your wife or your girlfriend! 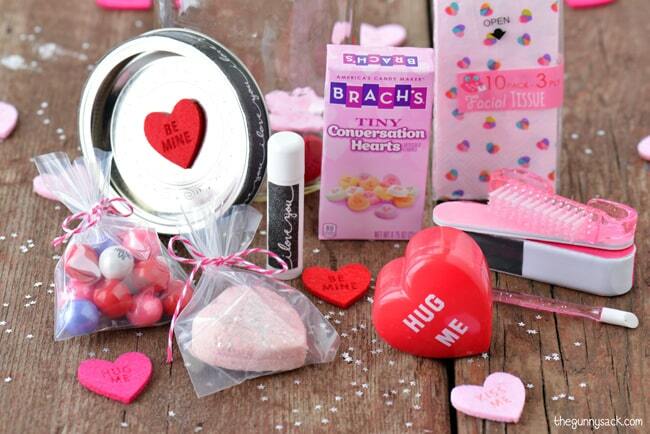 Gather together all sorts of Valentine’s Day items in shades of pinks and reds. Remove the wrapper on a stick of lip balm. 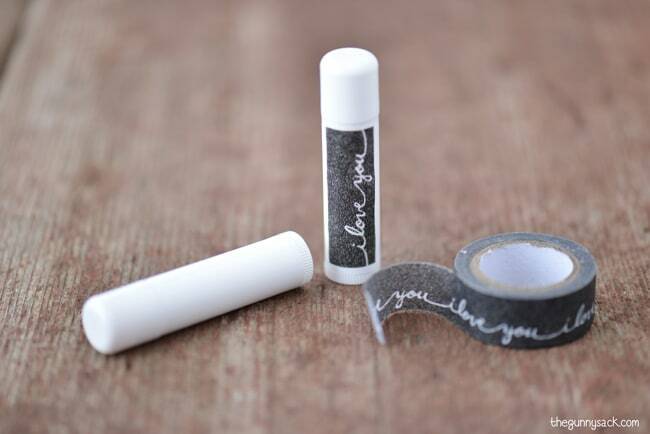 Replace the wrapper with a piece of “I Love You” washi tape or whatever washi tape or stickers you have on hand. 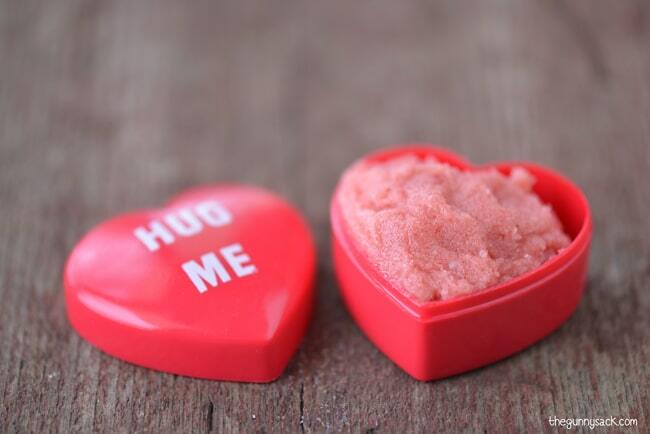 Fill a small, plastic heart-shaped container with homemade sugar scrub. I found these containers at Michael’s but I saw something similar in the Target dollar spot. Or you can fill the container with store bought sugar scrub. Be sure to add a small note letting the recipient know what is in the container! 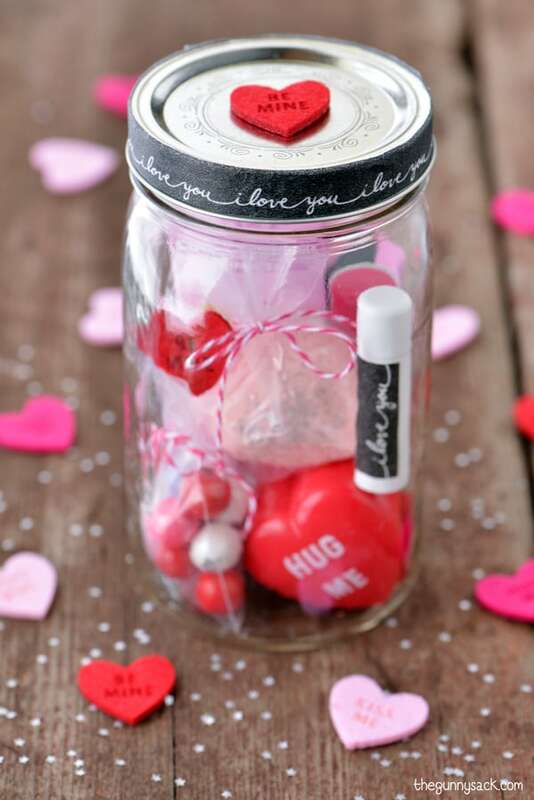 Put all of the items in the jar, wrap the top with a piece of washi tape and add a felt conversation heart sticker to the top. 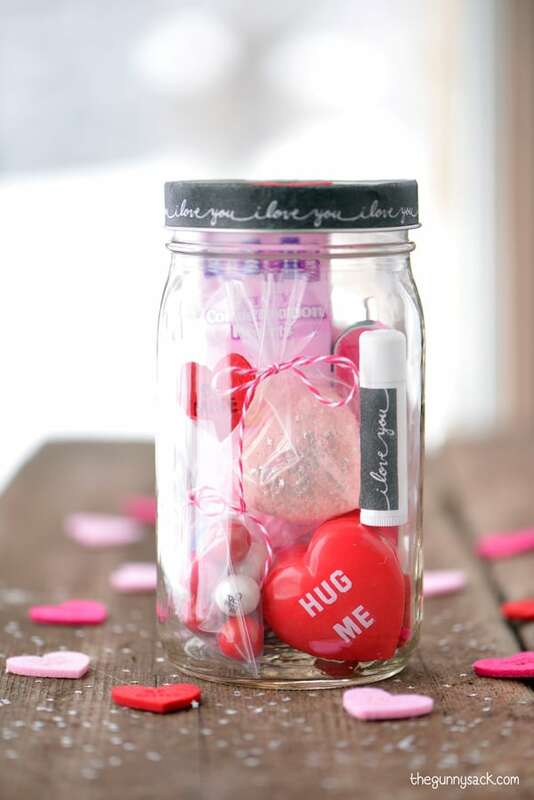 This Valentine’s Day Mason Jar gift is perfect for so many people in your life! You can fill it with homemade items or small, trial sized, store bought items. 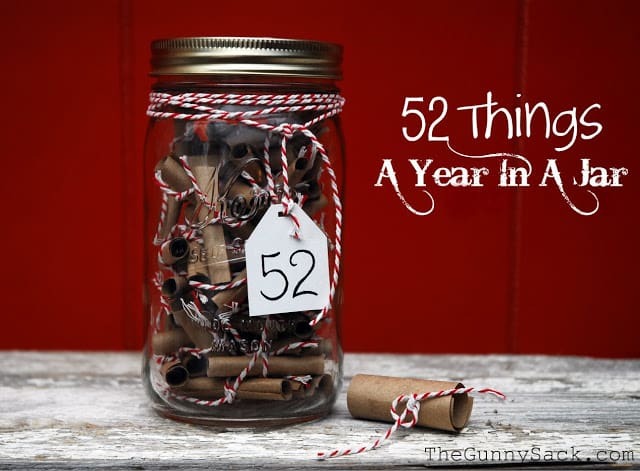 Fill a mason jar with 52 things you love about someone. This is a date in a jar to share with your loved one. 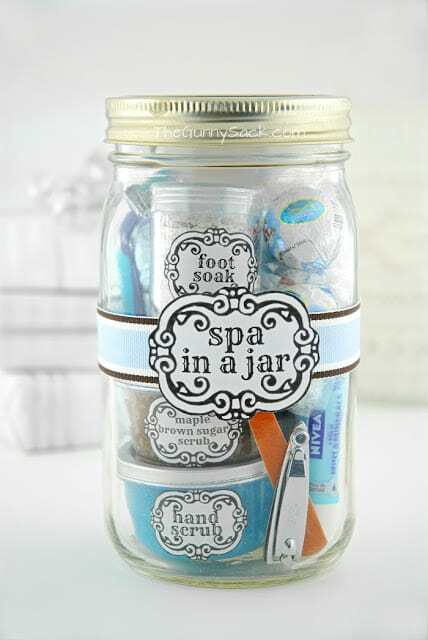 Fill a mason jar with small spa items. Great!!! 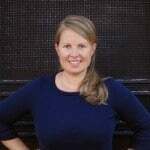 I’ve been trying to find a gift for my mom for Valentines day! Its actually quite funny cause her birthday is on Valentines day. 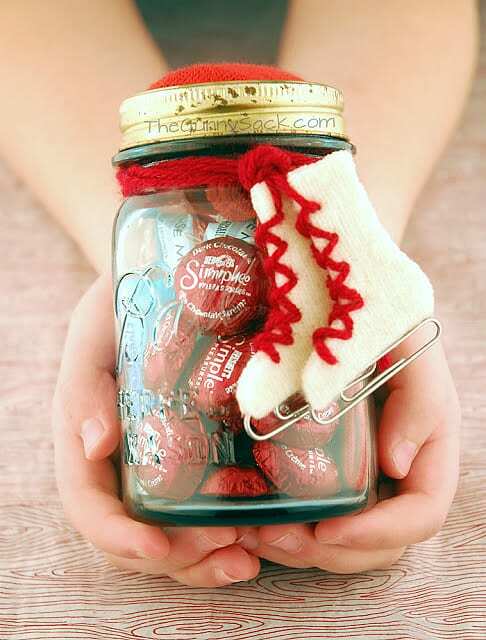 Now I can make a jar for like every holiday!